WARNING: Diesel-powered craft require installation of an Engine Shutdown System. 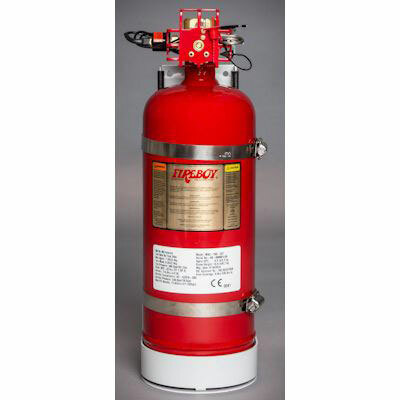 Effective Nov. 2014 - FireBoy redesigned the CG2 and MA2 Fire Extinguishing Systems, resulting in dimensional changes to the Extinguishers and Mounting Brackets. 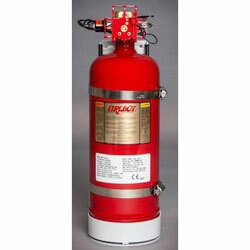 See the Fireboy-Xantex CG2 and MA2 Product Brochure for current product Dimensions. Style: Round Bezel, Cutout: 2-1/16"